The Hell Lotus Art Show 2012 is a celebration of the first Singaporean designed and produced original vinyl art toy, the Hell Lotus. 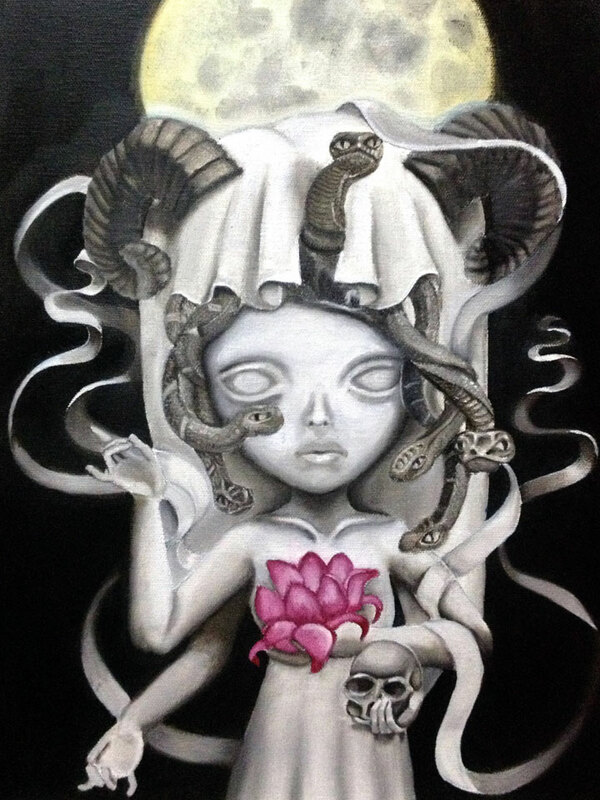 42 local and international artists were invited to contribute their own rendition or artworks inspired by the Hell Lotus design. 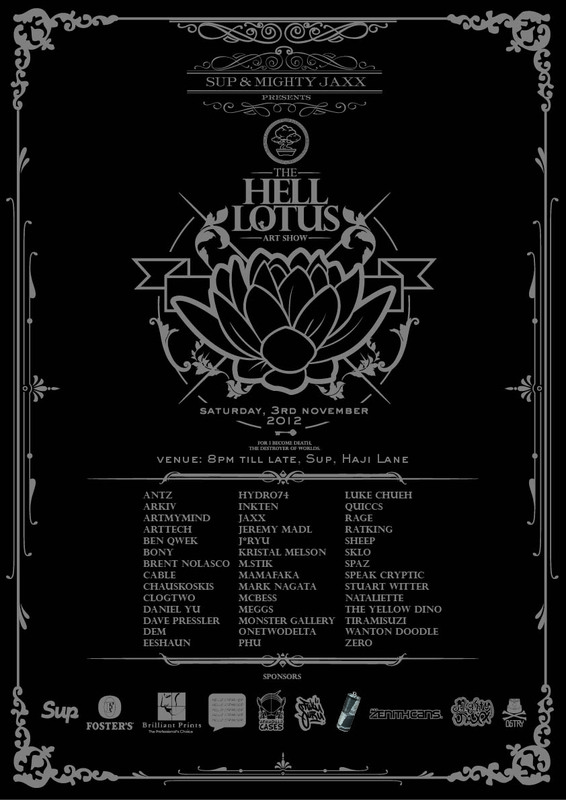 Hell Lotus is designed by Clogtwo, produced by Mighty Jaxx. We would like to thank our amazing sponsors, Sup, Foster’s, Red Bull, Brilliant Prints, Function Group, Hello Stranger, Armadillo cases, Fukusuru, Zenith Cans and Dstry. here’s a video coverage of the event done by the boys of Fukusuru.